The town and the surrounding area are dominated by the ruins of the Strallenberg castle including a cylindrical tower called Trúba. 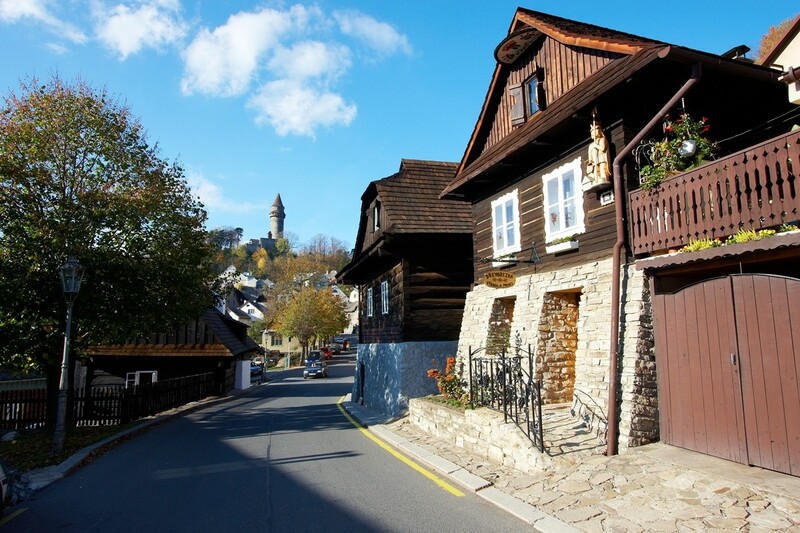 In addition there is a unique collection of timbered houses from the 18th and 19th centuries, most of which form the city conservation area. Štramberk is famous for its sweet-smelling confectionary products – gingerbread "Štramberk Ears" which have been baked here for many centuries in memory of the legendary victory of the Stramberk Christians over Mongolian soldiers on the 8th of May in 1241, on the eve of the Lord’s Ascension. The territory of the town was already populated even back in prehistoric times. The discovery in the Šipka caves and Devil’s hole (filled in nowadays) testifies to this fact. The remnants of a settlement and skeletal remains of Neanderthals from 40,000 B.C. were found. Other archaeological discoveries are from the Stone Age (approximately 3,000 B.C. and the Bronze Age (800 B.C.) around the time when the Kotouč hill-fort came into being. 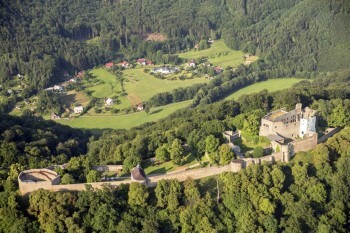 A settlement from the Middle Ages is first documented around the middle of the 13th century, at the end of which the Štramberk castle, which is older than the town which stretches out beneath it (the first mention of the castle village comes from 1211). The founding and ownership of the castle is surrounded in ambiguity. On Wednesday the 4th of December in 1359, Jan Jindřich of Luxemburg, the Moravian Margrave and brother of the Roman Emperor and Czech King Charles IV, published the town of Štramberk in the official documentation of its location (Štramberk is the only town in Nový Jičín whose founding papers are still intact). 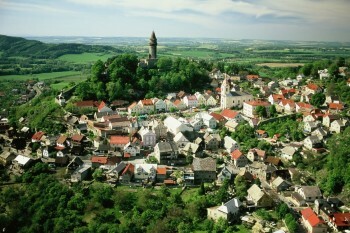 In the town documents, it is said that the town was founded under the castle at a secure distance from domestic and foreign enemies, in the North-East of Moravia. 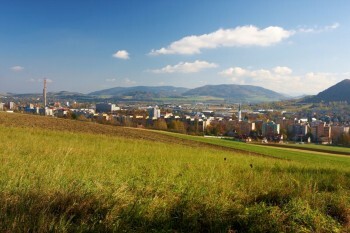 The city obtained the 'Mile Law' which secured them the right that no one in the area of one mile around the city could carry out a trade which was done in the city of Štramberk (one mile = 8 km). Another right which the town enjoyed was related to cooking, which provided them with the right to make beer, to sell meat and to bake bread. Every Tuesday a weekly market was permitted. The town law was prescribed throughout the whole town by reeves with inherited titles and town councilors. The town was exempt from all payments and duties to the Margraves. From the 15th century most residents, including the nobility, were followers of the denomination called the Czech Brethren.In the White Mountain period (1624) Štramberk came under the ownership of the Jesuits. During the Thirty Years War, the town and its surroundings were hit by the events of the war several times and were devastated. The Jesuits of Olomouc attempted to build the center of the anti-reform effort in Štramberk. As a result of this 2 churches were established, The Way of the Cross on Kotouč, and God’s Grave in the caves of The Devil’ hole. In addition the tradition of the Štramberk pilgrimages was renewed. All of that should have also become an impulse for the economic rejuvenation of the town, however the reforms of Emperor Joseph II abolished both of the pilgrimages and heavily impacted the fate of Štramberk. Loads of non-Catholics emigrated to Saska during that time where they established a settlement of Czech Brethren. The residents of the town supported themselves for a long period primarily with trading and crafts, supplemented by agriculture. The first Craftman’s Guild originated at the start of the 17th century. In the 1860’s the first Czech society originated in the town. In 1880 what is known as the Šipka jawbone – a part of the lower jawbone of a Neanderthal child – was discovered on Kotouč hill by professor K. J. Maška from Nového Jičína – which was an extraordinarily significant archaeological discovery. In 1895 a branch of the Czech Tourism Club came into being in Štramberk, which under the leadership of Adolf Hrstky MD, preserved the ruins of the Štramberk castle, which was seriously damaged in the Thirty Years War and became completely dilapidated in the 18th century. This society later bought the ruins of the castle and in the years 1903-1904 repaired and had a new roof put on the cylindrical watch tower known as Trúba. Till today it is the dominant feature of the town. The post-war period brought new development of limestone extraction on Kotouč. In addition very high-quality cement and lime were produced here. 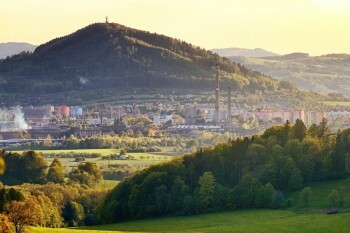 For its unique archaeological and architectural sites and for the unusualness of its nature, Štramberk has been a protected locality since 1951 and in 1969 it became an urban conservation area.